Hi! 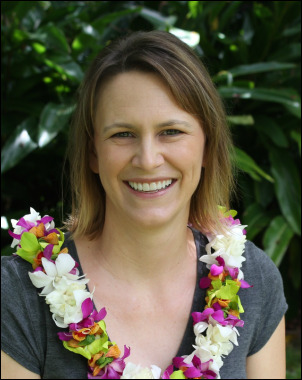 My name is Lisa and I live on Oahu with my husband and our two school age children. I have loved organizing for as long as I can remember. I organized my sticker collection and stuffed animals as a child, my dorm room and study schedule in college and my home and life as an adult. The complexity of life and potential for chaos has increased as my family has grown and I have enjoyed finding systems and solutions to keep us organized so we can spend less time trying to manage our lives and more time living and enjoying them. We still have our crazy days and pockets of chaos, and life transitions and unexpected events can throw us a bit off course, but overall we have a rhythm to our days, a method to our madness and systems in place to keep all the parts and pieces of our lives working together. I would love to help you add order to areas of your life that have gotten away from you so that you can say the same. I have a Masters in Education and although I am no longer in the classroom full time, I have a passion for education and have incorporated this into my organizing business. I don't want to simply organize your home and your life, I want to teach you skills and habits that will enable you to maintain the systems that I put in place. I would love to get a chance to say hello and answer your questions. Give me a call or send me a message today!